MANY THANKS FOR THE FEATURE! ALL YOUR POSITIVE COMMENTS MEAN A LOT TO ME! Inspired by a couple of great deals on previously-owned components, I decided to make a budget gaming build just for fun. I'll probably end up selling it on Craigslist for a bit of profit, but if I break even that's cool too. I just like the ritual of gathering parts, building, testing and gaming. I purchased both the CPU and GPU used for $80 and $150 respectively. The mobo was $75 new from Newegg. The case, PSU, HDD, RAM and case fans were purchased new from Jet.com which allowed me to avoid tax and get free shipping all while saving an extra $30 using a helpful new customer code. When the dust settled I had only spent $457. Not bad for a very capable gaming PC in a cute little chassis. It games quite well. I've only tested DOOM and GTAV and both run really well despite the obvious i3 bottleneck and get well over 60 fps when the framerate is unlocked. I've seen several videos that demonstrate how using VSync can reduce the bottleneck in more demanding CPU-heavy games since the components never have to target anything higher than 60 fps. Everything works without a hitch and I must say that this case is crazy-easy to work in. Even with a non-modular PSU, I had no trouble with cable management. I'll probably get the "Snow" white colored version next time I go mini ITX. Kitty included for overclocking and remains clean for the next 20 years. Plus one for this budget build. Great work! I'm using an i3-6100 with a 970 and I must say that this combo is probably one of the best budget combos right now. The craigslist market is flooded with $190 GTX 970s and a lot of people could get into PC gaming with the budget of $500. Although the bottleneck is true, I don't think it's severe enough for anybody to care at 1080p. I do plan on upgrading to an i5-6500 though. +1 for an awesome budget build and quality components. Nice, I got the same case wrapped in carbon fiber vinyl and leds! Very very cool sir. Looks like you put a lot of work in and it payed off. As for the build itself, amazing work. Nice and clean, and I love that case. Just a heads up, there is no bottlenecking going despite what other users are saying. The i3 6100 + GTX 970 is an excellent combo, especially for that price. +1, great gaming build for the price! Wow! What a deal! Like what eeem1214, the CPU and GPU might bottleneck. Monster fan lol nice build. Great build, great budget, cute little fans! +1 for the cat. are you going to water cool??? I don't plan to but it could be done. Theres space to mount a 120mm rad inside behind the giant intake fan for a push-pull configuration. Tiny board but amazing implementation of the whole computer. I want to do one of these builds that is tiny and ultra affordable but still powerful enough to run most things on Medium to high. I like what you did and want to copy it some day. +1 for the massive fan, have you measured it yet? This might be the next innovation in pc parts. It comes pre-installed with the case. It's 400mm I believe. It pushes quite a bit of air. Love the deal finder builds!! Great build, but just wondering; with all these new cards like the 480 and 1060, why choose a 900 series card? Simply put, I chose it based on the price. I had already gotten a good deal on an $80 i3-6100 and I put my sights on a graphics card for no more than $200 (tax and shipping included). An RX480 would've been hard to get my hands on considering its availability and would've cost more than $200 after tax and shipping. With the expectation of people liquidating their current builds to make way for the new cards, I figured a used 970 was the way to go. I just happened to be lucky enough to snag a used one from a Craigslist ad for $150. There was no way I could've stayed under $500 without using at least some used parts. Featured build for the kitty. It's always the ones with pets or babies. Or baby pets, or pet babies. Builds like these get my juices flowing. Somehow I don't like spending twice your build amount on watercooling kits. This entire build is very clever, getting those exhaust fans was also very smart, as long as they don't sound like jet engines. They're not terribly loud, but definitely audible. As far as I can tell, the noise level stays consistent since the CPU and GPU never get hot enough to ramp up their fans very high. That's good, also thermaltake makes some of the best small form factor cases on the market. omg the kitty! :D cute cat for a cute case! nice build! i was going to do a giant case build then i realized my budget and selected parts would fit in this awesome tiny case anyway! i was making final decisions by viewing other builds in this case and the cat totally sold me! do you have an instagram or blog with all your kitty pics? thanks!!! Sorry no blog and I don't Instagram cat photos. Glad you like the build tho! only thing im curious about is how it performs with the 2 cores apposed to a 4 core? 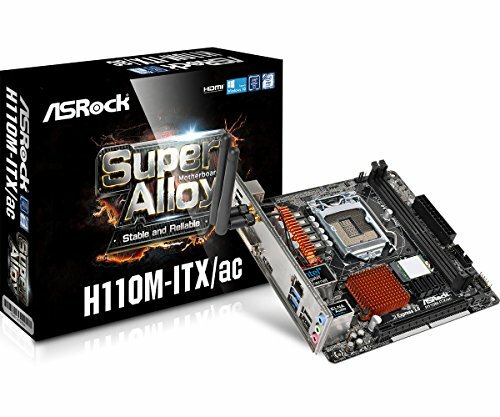 How did the motherboard perform with the wifi? I am trying to get a MOBO that includes wifi because I'm on a strict budget. Worked quite well if I remember correctly. If I ever do another budget ITX kabylake or skylake build, I'm using this mobo for sure. Did the intena cause any trouble? There is no bottlenecking at all. If he is playing a CPU intensive game, his FPS won't be as high as a 6600K/6700K. That is the only performance decrease he will get when playing games. Wow! Believe this or not but after seeing this build i decided to look for any deals on craiglist my area of San Diego and i found your build lol the irony! It's a small world! Hit me up if you're interested, my asking price is flexible as you know! I would say this is overkill if all you play is Warcraft. Might I ask how you connected the two rear fans? Doesn't the mobo only have 2 fan headers? One for the cpu and one for the large front fan? Yes, this mobo has only two fan headers (both PWM I believe), one for the CPU cooler and the other I used for the front case fan. Luckily the two rear 80mm fans came with molex adapters which I connected to the PSU's molex connectors. hay how about if i use i5 6500 instead of i3 and the new rx 470 instead of 970... what do u think how it will perform also is the mob given above suitable for i5 6500 CPU ? 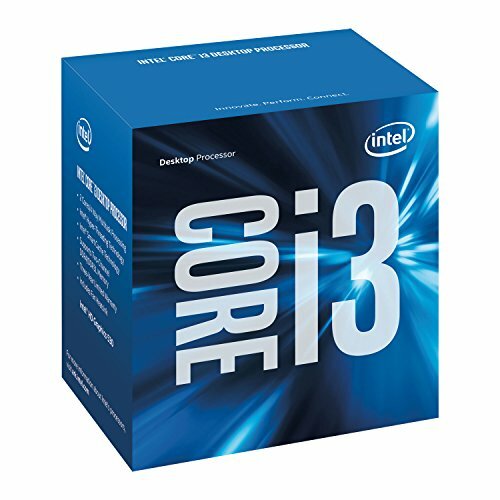 The mobo I chose will work with any of the consumer-grade Skylake i3, i5 and i7 processors, but does not have the ability to overclock the K variants. I'm not sure what the performance will be like with the combination you have in min, but probably pretty decent. If it were me and I wanted an RX 470 instead of a 480, I'd go with the slightly less expensive i5-6400. But to each his own. I was hopping of building this ( http://in.pcpartpicker.com/user/VISALNAIR/saved/w2jYcf ) with RX 470 u think the mob will be suitable...? I'm probably asking a stupid question, but I'm looking to copy this build with a few modifications. How's the networking capability? Is it wireless or wired? It's got an ethernet port for wired support and 802.11 AC Wifi and Bluetooth as well. If you look at the top down shot of the motherboard you'll see two very thin wires coming from the wireless card routed around the CPU and going to the i/o shield where they screw in the antenna seen at the back of the case. Kinda tricky to plug those cables to the wireless card but totally doable. Awesome build! I'm looking to build something similar, but I wish Asrock went with an all black board design, those copper colored heatsinks make me feel the color scheme I had in mind would be kinda ruined. Looks great! May your FPS be high and your temperatures be low. Sorry for the late reply. Thanks for the compliment. I don't have this rig anymore. I sold it shortly after building it. The MSI card did really well in this case, probably due to the case's ventilation design and the dual 80mm exhaust fans I installed. The 970 fit just fine without any modification needed. If a card was too long, it wouldn't interfere with the fan, but it would prevent the front face (and built-in dust filter) from being put back on. Great build! Is it packed with some decent noise as well? Just curious because of a 200mm + 2 80mm's. I've heard the 80mm's are the nasty ones. The 200 was pretty quiet, but yes, dual 80mm were definitely audible. IMHO worth it to keep temps low. I thought that the motherboard could only handle 2 fans, can the motherboard handle 3, or did you do some modifications? 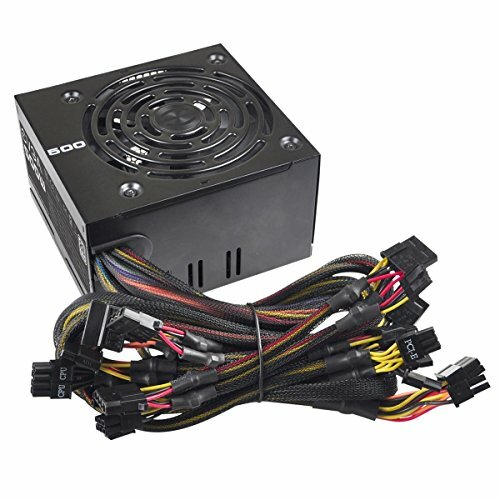 I used adapters included with the 80mm fans to connect them directly to the PSU. Can I get a link to this build so I could customize it a little bit? My build utilizes the snow edition of that case.. With my RX 560 and all, it looks so tame compared to your beast. Maybe I should let loose some cables and slap an RX 580 in mine. Am I the only guy that's hyped about another person having a similar build? I'm thinking of getting a 970 just to see how monstrous my build would look. I use the Snow Edition, so definitely a +1 for you buddy. Nice build. Aside from an i5 upgrade, I'd say a RAM upgrade would do wonders for future-proofing given the cryptocurrency craze going on right now. 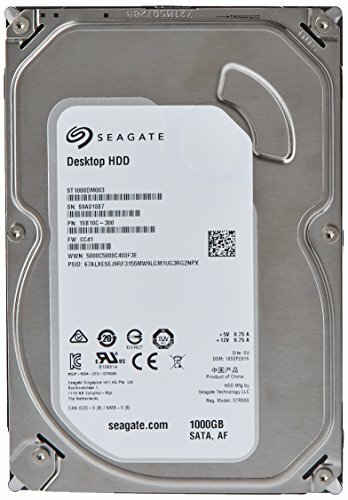 Maybe slap an SSD for the boot drive or a 4TB HDD for extra storage. 1070 for $150? Can't even get a 1060 at that price. And, at the time, the 1060 hadn't been released yet. Don't troll on me. Why does the title say "$450" if the total for the part list is $845.39??! Did you read my description? Regularly priced, this build would have been $650, but I got great deals on new and used parts. Not sure why. I wouldn't have been able to stay under $500. Budget was priority #1. Just sayin.